BP has agreed to purchase Chargemaster, the UK’s largest electric vehicle (EV) charging company. It said it sees the development of convenient and innovative EV charging technologies and networks as a key part of its strategy to advance ‘the energy transition’. Chargemaster operates POLAR, the UK’s largest public network of EV charging points, with over 6,500 across the country. It also designs, builds, sells and maintains EV charging units for a wide range of locations, including for home charging. Tufan Erginbilgic, chief executive, BP Downstream, said: ‘Bringing together the UK’s leading fuel retailer and its largest charging company, BP Chargemaster will deliver a truly differentiated offer for the country’s growing number of electric vehicle owners. BP said it estimates that by 2040 there will be 12 million EVs on UK roads, up from around 135,000 in 2017. It added that it believes that to accelerate the adoption of EVs, customers will require convenient access to fast and ultra-fast charging and that its UK retail network is well positioned to provide this access, with over 1,200 service stations across the country. 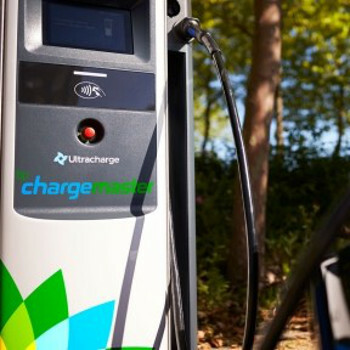 BP said customers in the UK can expect to access BP Chargemaster chargers on forecourts over the next 12 months.